To deliver a consistent advising solution for academics, pre-health, fellowships, and careers. Empowers students to take control of their academic and career paths. Visual planners encourage students to set aspirations and goals, create and modify multi-year plans, design their co-curricular experiences, and translate achievements into portfolio and resume formats. Equips advisors with tools to manage their entire advising world in one place. AdviseStream integrates and streamlines workflows, reports, and analyses for advisors, giving them time for quality interactions with students. Builds community, encourages collaboration and streamlines processes for student success. Our advising system provides a consistent experience for students and advisors throughout a university community while giving administrators the power to configure the system to their specific policies. 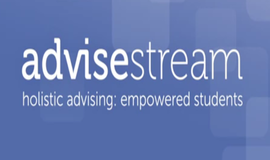 The AdviseStream cloud-based academic advising software platforms build community, encourage collaborative planning with advisors, and streamline processes for student success. Students are empowered to take control of their academic and career paths by creating and modifying multi-year plans, collaboratively designing their co-curricular experiences, and translating their achievements into e-folio and résumé formats.